Tonalist is a four-time Grade 1 winner and leading son of Champion sire Tapit. The G1 Belmont winner ran triple digit Beyers in 11 graded stakes starts, including the Cigar Mile (G1) and in repeat wins in the Jockey Club Gold Cup (G1). Through sixteen lifetime starts, nine of which came in G1 company, he was off the board only twice, amassing over $3,600,000 in earnings. 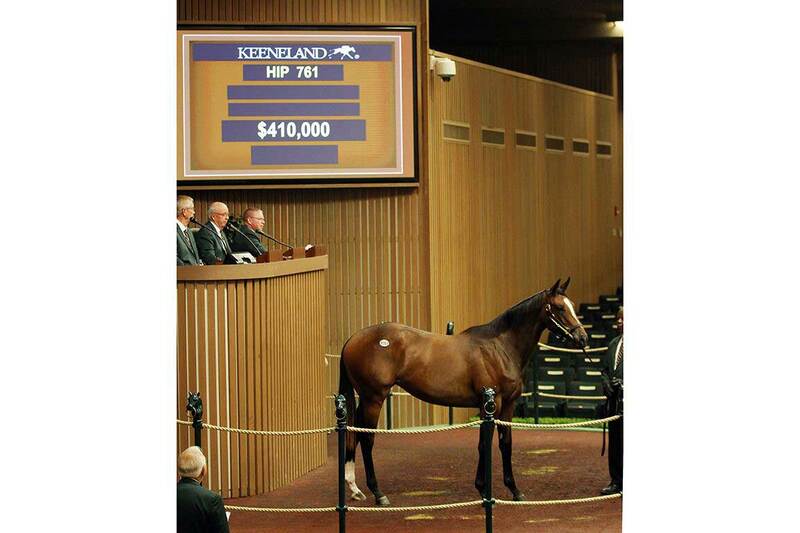 Tonalist’s first crop of yearlings averaged $101,151 at auction in 2018, with sales reaching $410,000. Tonalist is out of the Pleasant Colony dam Settling Mist and is from the family of Champions Havre de Grace and Plugged Nickel, as well as G1 winners Christiecat and Riskaverse. 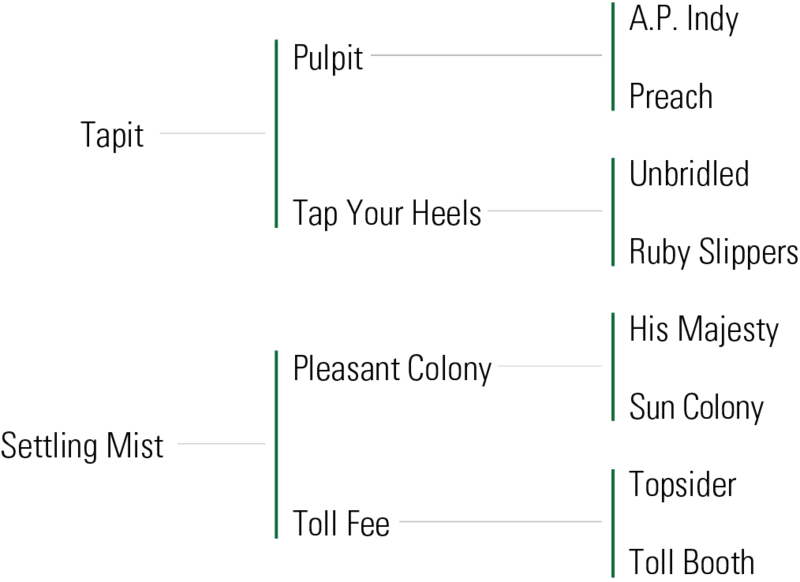 His sire Tapit has enjoyed considerable success with broodmare sires noted for their speed, including Distorted Humor (Constitution), Mr. Greeley (Zazu, Flashback), More Than Ready (Race Day), Carson City (Teen Pauline) and most particularly Storm Cat and/or his sons (Hansen, Careless Jewel, Tell a Kelly, Coup de Grace, Just Wicked, Divining Rod, Cassatt). 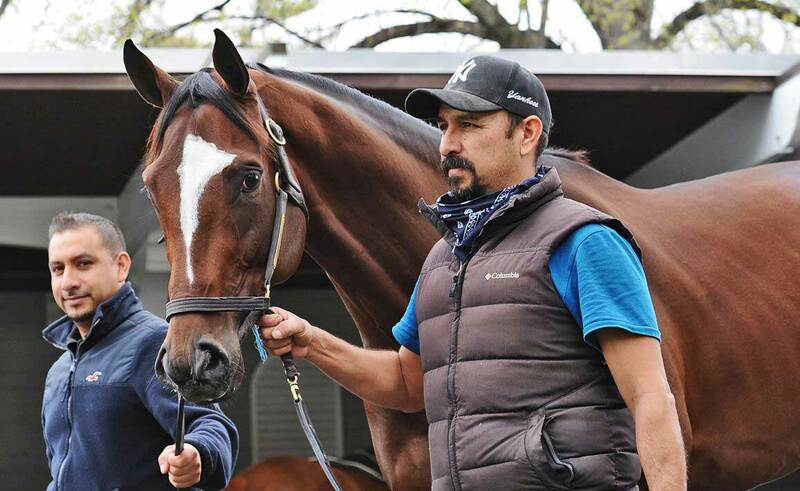 The first crop by Tonalist will be hitting the track this year. WON Jockey Club Gold Cup S. [G1] at Belmont Park (1 1/4 mi., in 2:02.12, by 1 3/4 lengths, defeating Zivo, Long River, etc. 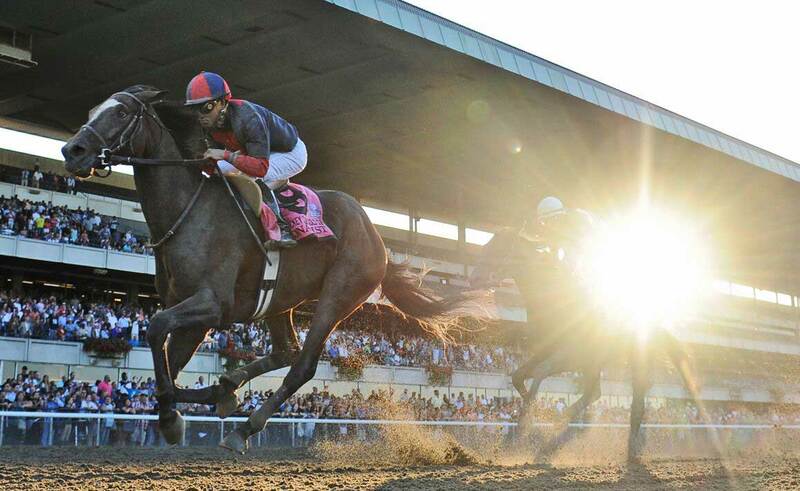 ), Belmont S. [G1] at Belmont Park (1 1/2 mi., in 2:28.52, defeating Commissioner, Medal Count, California Chrome, etc. ), Peter Pan S. [G2] at Belmont Park (1 1/8 mi., in 1:48.30, by 4 lengths, defeating Commissioner, Irish You Will, Matterhorn, etc. 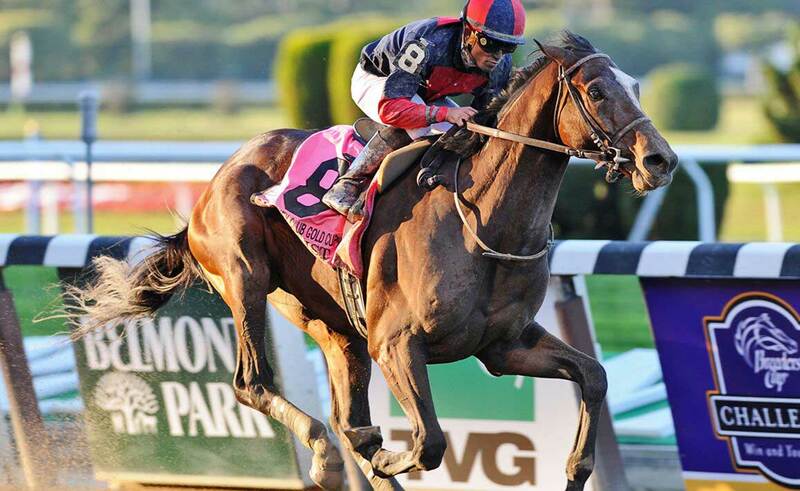 ), 2nd Jim Dandy S. [G2] at Saratoga (1 1/8 mi., in 1:49.16, to Wicked Strong defeating Kid Cruz, Commanding Curve, etc. ), 3rd Travers S. [G1] at Saratoga (1 1/4 mi., in 2:02.93, to V. E. Day, Wicked Strong, defeating Kid Cruz, Mr Speaker, Viva Majorca, etc.). WON Cigar Mile H. [G1] at Aqueduct (1 mi., in 1:37.14, defeating Red Vine, Matrooh, Mshawish, etc. ), WON Jockey Club Gold Cup S. [G1] at Belmont Park (1 1/4 mi., in 2:02.16, by 4 3/4 lengths, defeating Effinex, Coach Inge, Locks to Spare, etc. 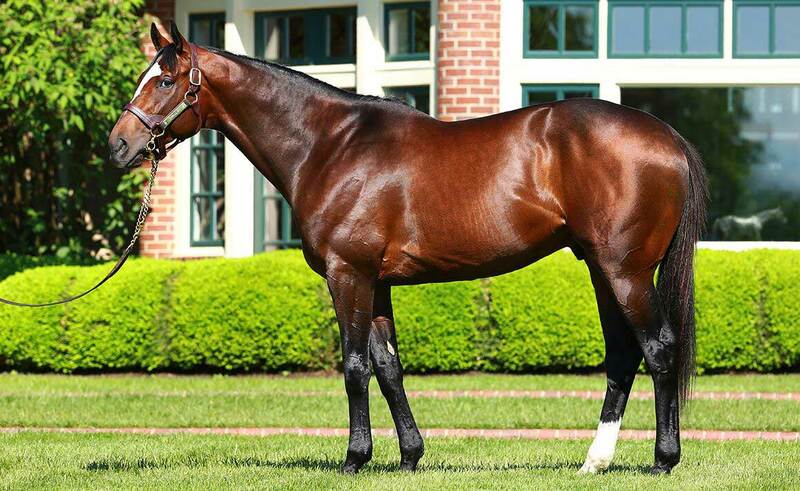 ),Westchester S. [G3] at Belmont Park (1 mi., in 1:34.07, by 3 3/4 lengths, defeating Confrontation, Souper Lucky, Juba), 2nd Metropolitan H. [G1] at Belmont Park (1 mi., in 1:33.18, to Honor Code, defeating Private Zone, Tamarkuz, Wicked Strong, etc. 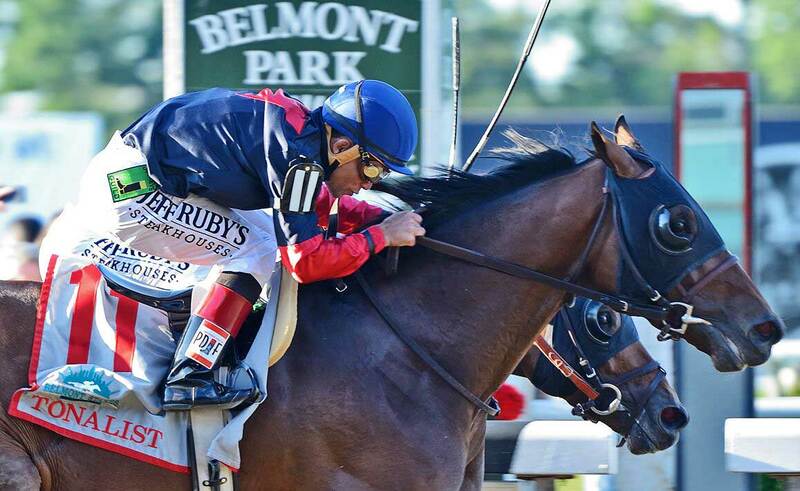 ), Suburban H. [G2] at Belmont Park (1 1/4 mi., in 2:01.55, to Effinex, defeating Coach Inge, Neck ’n Neck, Mylute, etc. ), 3rd Whitney S. [G1] at Saratoga (1 1/8 mi., to Honor Code, Liam’s Map, defeating Wicked Strong, V. E. Day, Lea, etc. ).